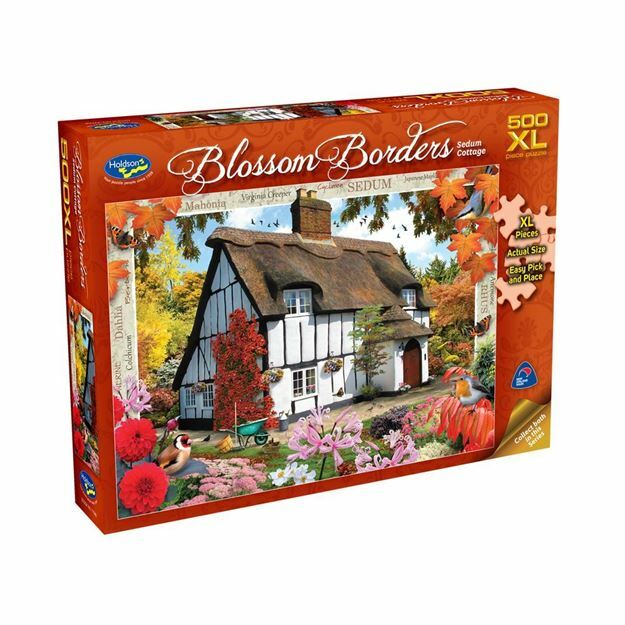 This Blossom Borders 500pc XL puzzle series is created by artist Howard Robinson. These images feature beautiful gardens and cosy cottages. 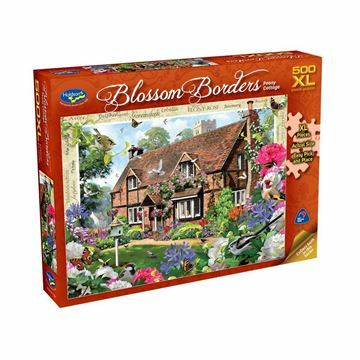 With their colourful details and rich greenery, these puzzles are sure to delight, and are the perfect way to spend an afternoon getting lost in a picturesque landscape! Titles include: Peony Cottage & Sedum Cottage. Each design sold separately. Collect both designs. Age 8+ years. Made in New Zealand by Holdson. Approximate puzzle dimensions: 688mmx 493mm. Box size: 270mm x 370mm.